Features: high-vacuum regulator valve pneumatic solenoid valve by changing the direction of gas control valve to open and close the implementation of the cylinder driven movement. Connect or disconnect the vacuum hose for the German air. 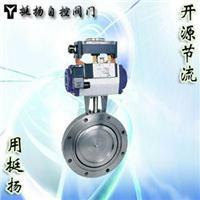 Suitable medium for the pure air and non-corrosive gases. Pneumatic high vacuum regulator valve to the compressed air as power source, with the electric valve positioner on the valve for continuous adjustment.